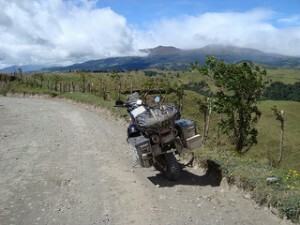 There are many articles on motorcycle touring and safety. The ones below stood out because of the way they present the information, and how they make you think. They may even inspire you to change your habits, or take that trip you’ve always dreamed of. Enjoy and stay safe! And cool! “America might be a land filled with motorcycle riders and motorcycle lovers, but it most certainly is not a motorcycle friendly country. Just ask anyone who rides their motorcycle to work on a semi-regular basis and they’ll tell you horror stories not just about bad, rude and dangerous drivers, but also of oblivious pedestrians and cyclists who seem to have a death wish and also appear to have it in for you.